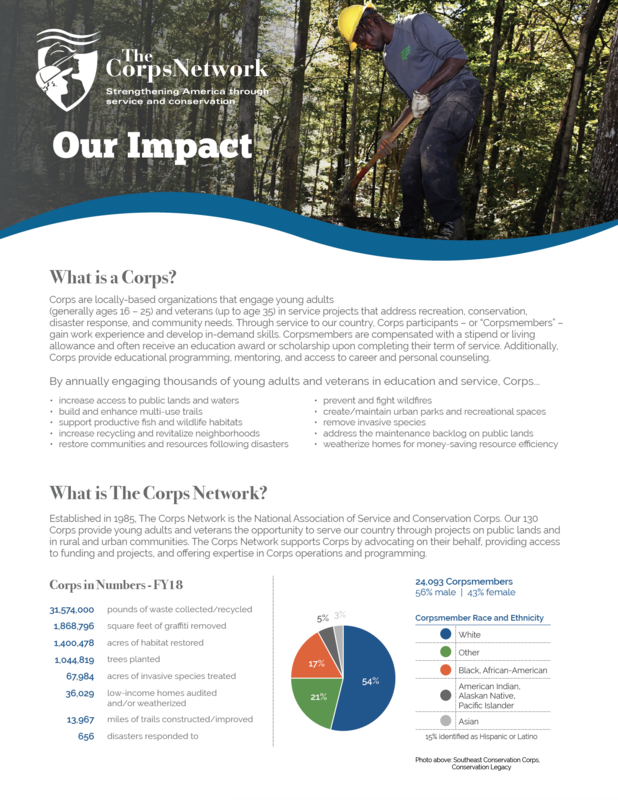 April is a big month for Corps and The Corps Network! For starters, April is when we celebrate both Earth Day and Arbor Day. As organizations that empower individuals to actively participate in improving the environment and their communities, Corps appreciate the attention these holidays bring to the ways we can each play a role in protecting our planet. Many Corps use Earth Day as an opportunity to engage their communities in conservation-focused volunteer projects. This year is no exception; we look forward to seeing all the great photos of Corps leading their friends, neighbors and local schools in planting trees, cleaning up parks and beaches, and pulling invasive plants. You can follow Earth Day-related Corps activities too by following the hashtags #corpsearthday and #servetheearth on social media. 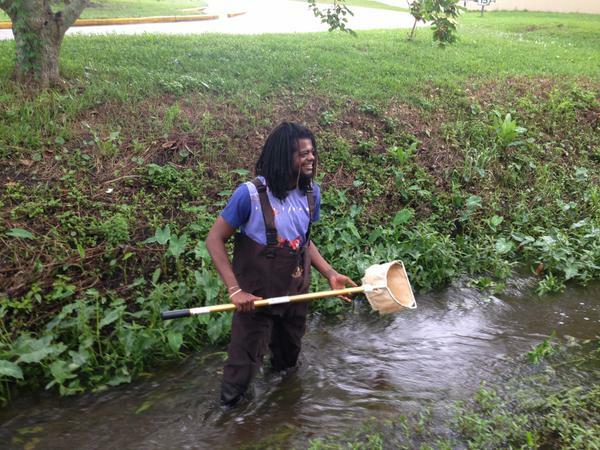 Though “every day is Earth Day” for Conservation Corps, we understand all too well how difficult it can be for many people to find time to enjoy the outdoors, let alone feel like they can contribute to protecting our environment in a meaningful way. However, the message of Earth Day is that we can (and should) all be environmentally conscious, even if it’s just by recycling, being mindful of our water use, and turning off the lights when we leave a room. We applaud Corps for spreading this important environmental education on Earth Day and throughout the year, and for engaging people who might not traditionally be involved in the environmental conservation movement. As anyone who has participated in a Corps can tell you, service to one’s community and the environment can be a profoundly empowering experience. Corps teach us that everyone – young people and the traditionally disenfranchised in particular – have the power and the right to make a positive impact on their environment. In addition to annual holidays, this April is important because it marks the official launch of Find Your Park; an initiative of the National Park Service and National Park Foundation to connect the next generation to America’s parks. As studies show, today’s children spend significantly less time outdoors than their parents or grandparents. They are more connected to screens than they are to nature. With its centennial coming up in 2016, the National Park Service is focused on making sure its next 100 years are even stronger than the first 100. To do this, they need to ensure that generations to come have an interest in not only visiting parks, but becoming public land and water managers. Corps are united with the Park Service in the goal to get more young people outdoors and interested in conservation. For years, Corps have completed vitally important maintenance and improvement projects in National Parks across the country, ranging from Shenandoah in Virginia, to the Grand Canyon in Arizona, to Olympic National Park in Washington. The Corps Network was proud to participate in a Find Your Park launch event last week at the Jefferson Memorial in Washington, DC. Another reason why this April in particular is important is that it marks the fifth anniversary of the Deepwater Horizon oil spill; the largest spill in America’s history. You may have seen news stories in the past few days about how the recovery process in the Gulf has been slow and there is still a great deal of restoration work to be done. Fortunately, not all of the news out of the Gulf this month is bad news; the second phase of The Corps Network’s Gulf Coast Restoration Initiative (GCRI) pilot project got underway last week in Mississippi. Corpsmembers will spend the next seven weeks restoring coastal habitats in Mississippi’s Hancock, Harrison and Jackson Counties. The goal of the GCRI is build the capacity of Corps throughout the Gulf, giving young people in coastal communities the opportunity to be trained for careers in the increasingly important fields of wetland and riparian habitat restoration. The Corpsmembers who participate in the current GCRI pilot project could one day be the conservation experts who help prevent future manmade disasters in the Gulf and make sure all natural disasters are responded to in a timely fashion. One last reason why April is an important month for the Corps world is that spring means the start of the field season. With warmer weather and the end of the school year in sight, Corps are busy starting projects or finishing their final preparations to welcome Corpsmembers for spring and summer crews. This is a time when some Corps host orientations for recently recruited Corpsmembers, exposing them to environmental stewardship and the growing diversity of “green careers” available.